Sea Mist Resort Motel is in an affordable, convenient Maine Coast getaway. Enjoy a relaxing atmosphere with quiet places to rest and enjoy the feeling of Maine. The resort features an indoor pool and hot tub. Surrounding the pool area is a pleasant wrap-around sun deck. Or spend some quite time enjoying Sea Mist’s expansive grounds. Many guests enjoy an evening of lawn games, barbecue and relaxation. 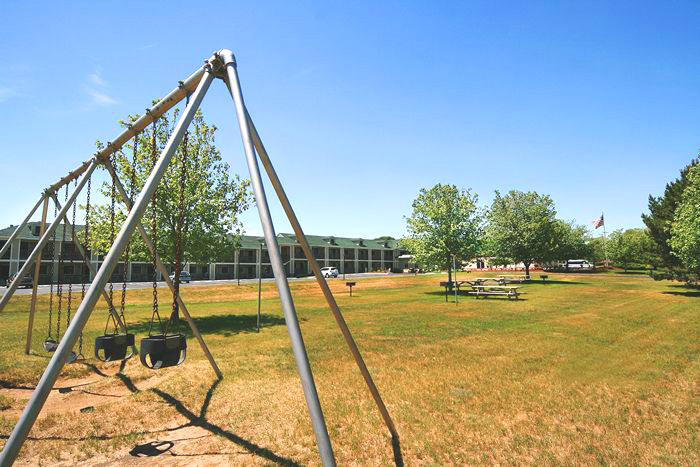 We have a large play area with swings, and plenty of room to picnic, read and refresh yourself.